The big day has finally arrived! The first day of Etsy Christmas In July 2018! Events are great ways for sellers to gain exposure, learn about your target market, garner customer feedback and draw attention to your business. The Christmas In July team leaders have spent the past year working hard behind the scenes for the Christmas In July 2018 event! We have many fun new opportunities for you to be involved! Here is the blog schedule where you can join us each day to see what is happening! 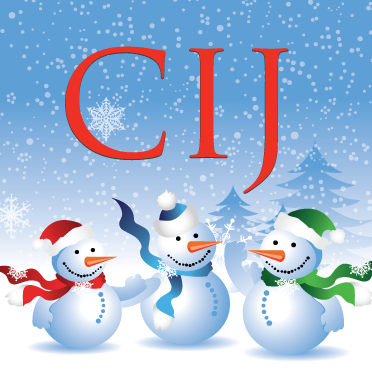 Please see the CIJ forum threads because there are still opportunities for you to become active in the 2018 event! On July 9th we will host the #CIJParty 2018 right here on our blog! We are working behind the scenes right now prepping for the party! Join the 10 Day Christmas In July Photo Challenge! Use the hashtag #CIJLovesJuly in the caption of your challenge photos! We look forward to getting to know you! Please use the hashtag #EtsyCIJ on social media! We are ready with social media for #EtsyCIJ 2018! We are ready to celebrate #EtsyCIJ 2018! Please check out the blog every day to celebrate with us! ‘Twas the night before Etsy Christmas In July 2018 when all through the world Etsy shop owners are putting the final touches on their events! We are excited to share handmade, vintage and supply items directly from creative people around the world! We have many fun opportunities for you to be involved! Click our logo and it will take you to the list of daily events! We are ready with social media for CIJ 2018! Want a sneak peek of one of the Christmas Inspired articles? Here’s one from Cindy of Cynhumphrey! A big thank you to Cindy! We will share more details with you in the days to come! We are ready to celebrate #EtsyCIJ 2018!